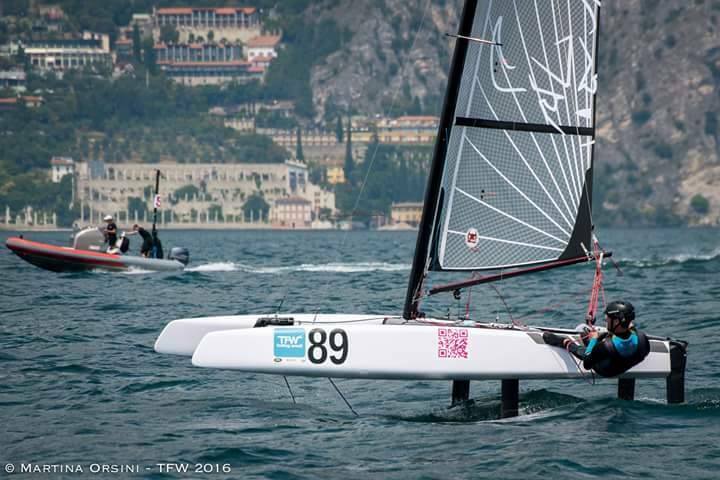 Photos: Martina Orsini / Foiling Week Garda 2016 - Loading & Foil shots & text sent by Charlie Mayer. That S9 foil doesn´t look that small in area compared to the FP one, more when the S9 has two working T foils at any given time. 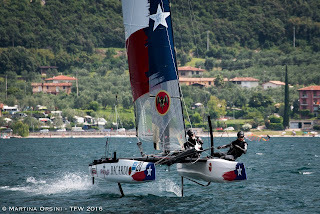 On the weekend I asked a Pro Engineer on AC48s upwind foiling and he remarks area is key for those new L shape foils. 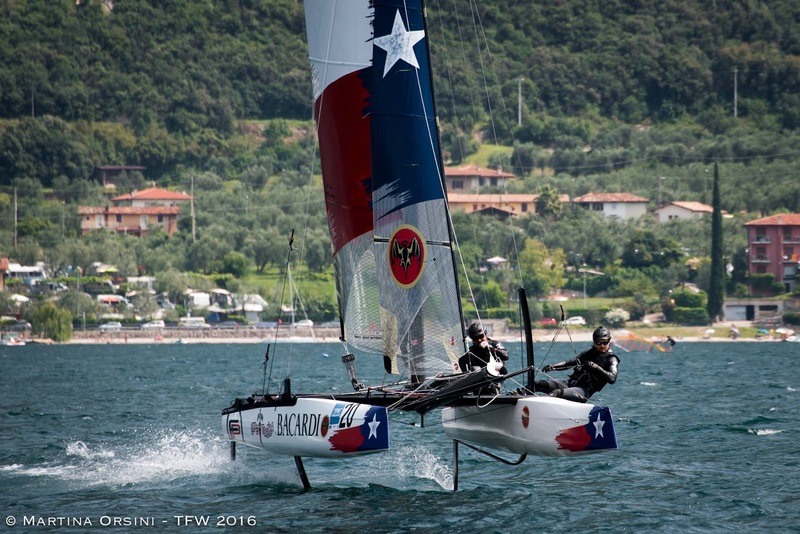 Meanwhile in the US Charlie & John Tomko will be taking the flying toys to Newport for the Foiling Week US Edition. 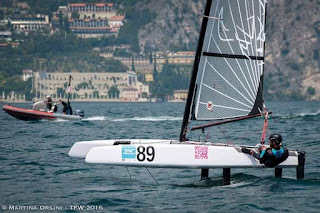 Mayer's own S9s (2) will be available for testing on his own initiative to show the great little flyer. The trailer containing my S9s will be rumbling into Newport early in the afternoon of September 7th. We’ll start rigging that afternoon and continue rigging early on September 8th. If you see us there, please come by and visit. Restaurant and entertainment advice would be appreciated. Demos available after assembly, of course. (Six sailors in line so far.)"